Contemporary Aesthetics invites papers for its fourteenth volume . 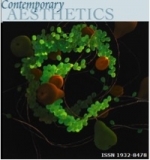 The purpose of Contemporary Aesthetics is to publish international, interdisciplinary, peer- and blind-reviewed articles on contemporary theory, research, and application in aesthetics. CA invites submissions of articles no greater than 7,000 (including abstract and notes). Articles that are primarily historical or that focus on particular art works or individual artists are not appropriate to the mission of this journal. We welcome the use of visual images and auditory and video clips to illustrate the text. Discussions should be accessible to an audience across disciplines and promote conversation across fields and practices. For more information about submitting work to Contemporary Aesthetics, visit www.contempaesthetics.org. CA is an open access journal and may be accessed, downloaded, and copied free of charge. Contemporary Aesthetics is published by Contemporary Aesthetics, Inc. and is incorporated in the State of Maine, USA, and licensed as an Exempt Charitable Organization. The journal began publication in 2003 and is published on a rolling basis with new content added to each Volume throughout the year. The completion of each Volume is at end of the calendar year. CA is archived annually by MPublishing, a division of the University of Michigan Library, and its operating costs are partially supported by the Rhode Island School of Design. WorldCat lists Contemporary Aesthetics as available to 568 academic libraries worldwide as a scholarly resource (as of November 4, 2015). The journal is also abstracted or indexed in EBSCO, The Philosopher's Index, Ulrich's Periodicals Directory, Genamics JournalSeek, CiteFactor, PhilPapers, and H.W. Wilson. 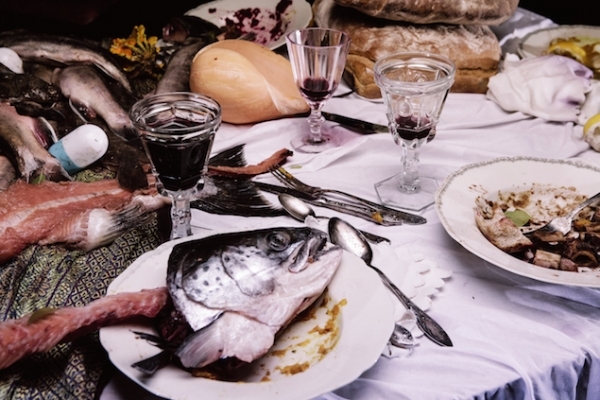 This conference will explore the ways in which the art world meets gastronomic culture; it will analyze the objectives of food centered artistic practices and the aesthetic discourse on the question of the artistic validity of food and cooking. A selection of the best seminar papers will be considered, after an external double blind review process, for publication in a volume. Prospective speakers will be notified by March, 2016. The Nordic Summer University (NSU) study group Appearances of the Political announces a CFP for its winter symposium. The first session of the group will be organized in cooperation with Institute of Literature, Folklore and Art and Faculty of Theology, the Latvian University in Riga, Latvia. The topic, Identifying the Political, will address the verbal play and its connection to physical presences of today’s political reality and approach it from the point of view of social, artistic, aesthetic and cultural analysis. By focusing on the conceptual base of the appearances of the political we wish to articulate clearly the artistic, aesthetic and cultural forces underlying today’s political thinking. We also want to inaugurate a debate on the role of cultural approaches in political analysis. To really discuss the political we need to establish a deeper understanding of the key concepts and their cultural extensions before elaborating on other forms of investigating them. This could, for example, be related to the impact of concepts like migration / refugee. What cultural significance do these (or any similar politically explosive) concepts anchor to? We wish to break new paths in connecting the cultural humanities and the political sciences. This symposium thus invites the participants to explore bravely new ways of studying the issue. We believe that experimentation is crucial for rethinking the political. Our partner in the winter session 2016 is the University of Latvia in Riga and we collaborate closely with Pauls Daija and the Institute of Literature, Folklore and Art. The intention of Appearances of the Political is to create a platform for future collaborations and applications, and to exchange knowledge and share common interest. It is important for the group to consult a variety of fields as broad as possible including political theory, philosophy, communication, social sciences and cultural studies, and we hope that scholars from all areas of interest would join us. Participating in this first meeting of the group does not imply any obligation for participating in future meetings. We hope, however, that participants will be involved in building a strong community on this topic for future activities reflecting the diversity of interests in the community. Future seminars will focus on History, Material Culture, Activism, Political Art and Aesthetics in the Everyday, and Communication. The list of sites for the study circle is planned to be, among more, of the following order: Riga, Orivesi (NSU Summer Session), Bratislava, St. Petersburg and Copenhagen. Changes might appear as well as additions. We are open to any propositions concerning collaboration, partners and sites. We invite proposals for presentations addressing different problems relating to this call. We hope that academicians, artists, students, third sector agents and intellectuals would participate. Please don’t hesitate to ask any questions from the coordinators! 30 minutes presentation + 10 minutes discussion. Please indicate your wish in the abstract! We encourage you to give an oral presentation, i.e. no dry reading of a paper or reading from texts on power points (use power points for pictures, illustration of similar material). What matters is the content and what you have to say, not the rhetorical performance. Any form of experimental presentation is very much welcomed. If you wish to participate without giving a presentation, please write a short (200 words) description of yourself. The deadline to submit proposals is November 30, 2015. The preliminary program will be announced on December 15, 2015 on www.nordic.university where you can also find more information about NSU and sign up for the newsletter. The applications will be viewed ASAP. Applicants will be notified of their acceptance no later than December 15. Later submission is possible but we will prioritize early submissions. We will use the fees to cover some food and other expenses for the participants. Participants should apply to their institutions, Art Councils, local foundations or sponsors to have their travel cost covered. This conference, scheduled to take place during the 2016 European Championship and hosted by the University of Basel’s Department of English, takes up soccer with a special focus on its poetics and aesthetics. The conference particularly seeks to scrutinize the poetics and aesthetics of the game in light of comparative as well as transnational, transcontinental, and global perspectives. In doing so, it aims to shed light on the poetics and aesthetics of all aspects of soccer, from the actual game to fan chants and choreographies, from representations in the arts to the aesthetics of media coverage, from the poetics of live commentary to institutional image cultivation (MLS, FIFA, UEFA, etc. ), from aspects of design (jerseys, balls) to recent developments in stadium architecture. Given this range and diversity of the forms in which the poetics and aesthetics of soccer manifest themselves, the conference by necessity is interdisciplinary in nature, with possible contributions coming from fields such as literary and cultural studies, philosophy, linguistics, visual studies and the arts, design, and architecture to name but a few. • the aesthetics (and politics) of institutional image cultivation via the staging of events such as opening ceremonies, fixture draws, player award ceremonies, etc. • design in soccer: jerseys, balls, gear, club emblems, etc. In addition to academic talks, the conference will also include an art event, exhibiting some of the original art that is the basis for tschuttiheftli’s sticker collection they create for every World Cup and European Championship (http://www.tschuttiheft.li/). The European Society for Aesthetics would like to invite you to submit a paper for presentation at the ESA Conference 2016. The conference will be co-organised by the ESA, the Department of Philosophy of the Autonomous University of Barcelona and the Faculty of Philosophy of the University of Barcelona. We are inviting papers from all traditions and on any topic in philosophical aesthetics, and both systematic and historical presentations are acceptable. Submissions must be long abstracts, between 800 and 1.200 words in length, presenting not only the main ideas and claims of the paper, but also the chief considerations and arguments in favour of them. Please, notice that full paper submissions will not be accepted and submissions are limited to one per person. Please use the PDF-file format for submission and render your text completely anonymous, allowing for blind refereeing. To submit your long abstract, please use the EasyChair online submission system (first-time users will be asked to register with EasyChair). The deadline for submissions of papers is the 15th of January 2016, and we aim to inform you about the result of our selection process by mid February 2016. 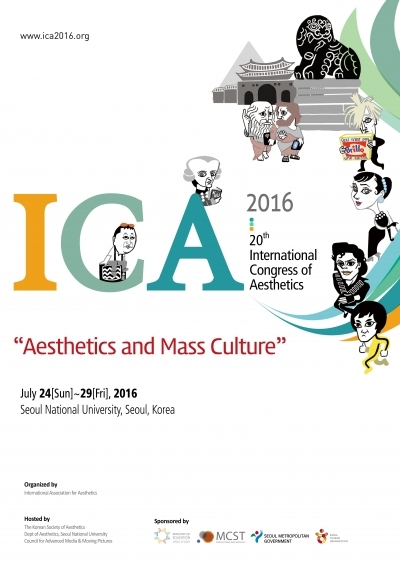 ICA 2016 organizing committee invites all interested individuals to submit the abstract of a paper for 20-minute presentation. There will be 5-minute Q&A after presentation. *A copy of “STUDENT ID” will be needed. Deadline For Submissions Is January 31, 2017. Historically aesthetics has focused on the philosophy of art, on the nature of beauty, and on the character of the experience of both. This tended to represent the aesthetic as somewhat rare and elevated above ordinary experience and practice. In recent decades, however, the subject has broadened, with attention being given to a wider diversity of art forms including conceptual art and land art, computer art, the cinema, and video arts. In addition there has been a growth of interest in environmental aesthetics. A more limited development has been the recognition of the ubiquity of the aesthetic within the fabric of everyday life as for example in work on the aesthetics of the built environment, of personal spaces, and on the aesthetic aspects of social life. Papers are invited that explore either the general idea of an aesthetics of everyday life, or particular topics within this general area. Of particular interest are papers relating the aesthetics of everyday life to issues in social relationships and public policy, for example in relation to clothing styles and fashion, public rituals and ceremonies, landscape design and gardening, urban planning, ambient sound, and graffiti. 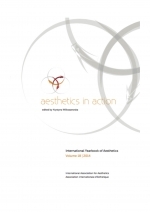 The 18th volume of the International Yearbook of Aesthetics comprises a selection of papers presented at the 19th International Congress of Aesthetics, which took place in Cracow in 2013. The Congress entitled “Aesthetics in Action” was intended to cover an extended research area of aesthetics going beyond the fine arts towards various forms of human practice. In this way it bore witness to the transformation that aesthetics has been undergoing for a few decades at the turn of the 20th and 21st centuries. Krystyna Wilkoszewska is professor of philosophy and aesthetics and Head of the Department of Aesthetics at the Jagiellonian University in Cracow, Poland. She is President of the Polish Society of Aesthetics and Director of John Dewey Research Center founded by her at the Jagiellonian University. She is a delegate in the Executive Committee in the International Association for Aesthetics and a member of Board in Central European Pragmatist Forum. She was awarded research grants from ACLS and Humboldt Foundation. Her main interest is in pragmatist philosophy and aesthetics, somaesthetics, postmodern philosophy and art, eco-aesthetics, transcultural studies. She published Art as the Rhythm of Life: Reconstruction of John Dewey’s Philosophy of Art; Postmodernism in Philosophy and Art and edited among others three volume Japanese Aesthetics; Vision and Revision; Transcultural Aesthetics; Aesthetics and Cultures. She is editor of the series: “Aesthetics in the World”, “Classics of Polish Aesthetics”. 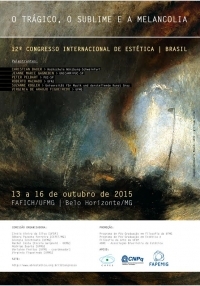 The 12th International Congress of Aesthetics- Brazil will bring into discussion three significant concepts in the panorama of philosophical reflection about art (and nature): the tragedy, the sublime, and melancholy. All three indicate contradictory movements of overtaking and surpassing the negative link between subject and object, giving origin to a great new fortune of criticism in the tradition of philosophical writings about aesthetic phenomena, from the Greek period to present day. It was Schelling that asked how Greek reason could bear the contradictions of Greek tragedy. It was inevitable that the philosopher’s curiosity investigate the strange pleasure that humans have with fear and passion, which are undeniably painful passions. The first systematic formula of this contradictory pleasure appeared in Aristotle’s Poetics, described as catharsis. Before this, Plato had condemned the tragedy to irresistible attraction that it produced in people. In the late18th and early 19th century, especially in Germany, the ‘modern’ interpretation of tragedy was intensified, particularly in the works of philosophers such as that of Schiller, Hegel, Schopenhauer, and Nietzsche. Even today, the importance of this concept cannot be denied in our contemporary concept, as seen in Adorno, Benjamin, and Heidegger. The controversies generated by the philosophical appropriation of a theatre ‘genre’ were not few. For some authors, as is the case of Jacques Taminiaux, it consists of a sort of ‘deviation’ in direction of the ontological, ignoring the dimension of action (praxis) that was in play in the Aristotelian concept of tragedy. For his part, Peter Szondi put forth a very original thesis: the tragedy provided the origin and the matrix of dialectic thinking. Finally, Phillipe Lacoue-Labarthe, in his interpretation of the theater of Hölderlin (whose contribution to the thinking of tragedy is, to a certain extent, unsurpassable), concluded that the sublime, this art or the theory of modern art, is perhaps nothing more than a re-creation of the tragedy. Quite similar to that contradictory pleasure was one of the definitions that Schiller offered us of the sublime, as “serenity in the face of pain”, a feeling justified by him due to intensity of painful emotions. Therefore, it is the vivacity and intensity of representations that unleash suffering upon us, which is the very motive that gives us pleasure. Just as with the tragedy, we can also say that the Sublime has a double origin: the first was in the third century of the Christian era, when the rhetorician Longinus wrote a treaty “On the sublime” (Peri Hupsous). In that period, it was directed towards the artist and the work, not at the general concept of beauty, for this reason Poetics and Rhetorics were written, and not Aesthetics. Longinus was exclusively concerned on training the orators of the most efficient manner to impact their ‘audience’. The second origin of the sublime was in the late 17th and early 18th century, in Classical France, when in 1674 the writer and art critic, Nicolas Boileau, known for his conservatism, alleged Boileau-Despréaux, published, along with his The Art of Poetry, a surprising translation of the treatise of Longinus. This, very likely, provoked the reappearance of the sublime in reflections of art, making it return to be, as Jean-Luc Nancy would say, ‘in fashion’. The sublime left France as a product of Classical rationalism and arrived in Dublin already totally transformed by a sensualist and empiricist aesthetics. In 1757, the Irishmen Edmund Burke published his famous Philosophical Enquiry into the origin of our ideas of the sublime and beautiful. As could have been predicted, all of these adventures resulted in a strengthening of the question of the sublime, which, returning to the continent (European and ‘metaphysical’, but was ready to produce its ‘Critique’), only caused it to grow and solidify. For this reason, in 1790, when Kant published his Critique of the Power of Judgment, which with the reflections appears as systematized and divided into two contrasting analytical accounts: of Beauty and of the Sublime. If beauty is associated with ‘disinterested pleasure’, the sublime is characterized by a contradictory sentiment, marked equally by pleasure and displeasure. If beauty indicates a soothing feeling of harmony between man and nature, the sublime shows an enemy nature, an adversary to men that physically frights him. If beauty is a sentiment of the aesthetic pleasure, sensitive in the proper sense, the sublime is a sentiment, which, by its connection to morality, demands more of an Anti-aesthetics (as suggested by Deleuze) rather than an Aesthetics. If just as tragedy and the sublime both express contradictory movements of the spirit, they have in common the fact of confronting us with an object or a nature that challenges us in our coherent positivity. We are called to a tense, living and conflicting dialogue with a reality alien to the habitual form of thinking and daily rituals. At the moment that the movement was radically internalized, impelled by a substantial and radical loss of an object, the sublime and the tragedy appear to converge in melancholy. With Greek origins, a combination of melas (black) and cholis (bliss), ‘melancholy’ does not designate only a long state of pathological depression, but a subjective state of our creative processes as well. It is referenced to in plastic arts, such as paintings by Albrecht Dürer and Goya, in literature, such as the works of Machado de Assis, and recently in film, an example being Lars von Trier’s “Melancholia”. Sarah Kofmann explains in her book The Melancholy of Art that all beauty and artistic production is inexorably connected to a melancholic principle, defined by the absence of an object. In fact, if we follow the famous idea of Sigmund Freud that in melancholy the shadow of the object falls on the subject, in contemporary art the subject renounces ‘melancholically’ the mimetic/representative object as the principle that grants artistry or at least minimal condition of possibility to the artistic work. At the same time the inapprehensible loss of the object could push the subject into the background of paralyzing swirl, simultaneously, it can instigate an aesthetic elaboration that surpasses the subjective and obscure closing towards the elaboration of a new object, that is, the artwork, which transpose all the contradictory movement of the soul onto the stage of its imagetic/imaginary objectivity. Considering the trajectory of these concepts, which even today are maintained in contemporary debates about aesthetic, the International Congress – The Tragic, the sublime, and melancholy, intends to approach some of their most pertinent aspects, being each one separately or in the context of their multiple interconnections. In this sense, the conference has amounted to a series of organized events, since 1993, through the Research Group of Aesthetic and Philosophy of Art, in the Graduate Program of Philosophy at UFMG (lately undertaken with the Master’s Program of Aesthetic and Philosophy of Art of UFOP and with the Association of Aesthetic of Brazil – ABRE): “Death of art, today” (1993), “Beauty, sublime, and Kant” (1995), “The lights of art” (1997), “Catharsis” (1999), “Mimesis and expression” (2001), “Aesthetic theory” (2003), “The aesthetic dimension” (2005), “Aesthetics of dislocation” (2007), “Dislocations in art” (2009); “Image, imagination, fantasy: Twenty years without Vilém Flusser” (2011) and “Taste, interpretation and critique” (2013). As the past three events of this series, the forthcoming will also be realized in conjunction with the Graduate Program of Aesthetic and Philosophy of Art of UFOP. IAA International Yearbook 2013 (Volume 17). Jale Erzen & Raffaele Milani (eds.) Nature and the City. Beauty is Taking on a New Form.Sassari 2013. The city, too, is landscape. We can leave it by going into nature exchanging the urban for the rural, but we can also enter the city to live within the architecture and contemplate its forms. Every architectural structure is a landscape and promotes an educational or paedeumatic relationship between the spirit and the environment. Our gaze and our bodies activate a certain way of contemplating that promotes the interchange between the external perception of the physical world and an internal seeing, which is the psychic perception of the visual image. 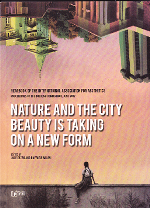 There is a close relationship between the aesthetic experience of the natural environment and that of the urban landscape. In the same way that humankind lives on the earth so, too, it lives in the city.